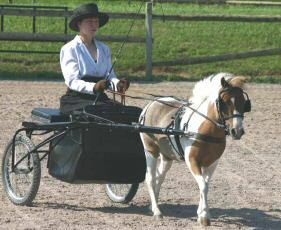 Mercedes is a beautiful mare born in 2005. She is AMHA registered. 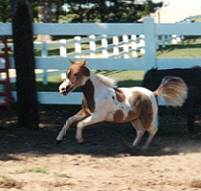 She will add her good looks, athletic movement and sweet personality to our dilute program. 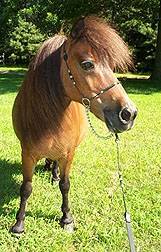 Babe is a 31.5" bay mare born in 1990. 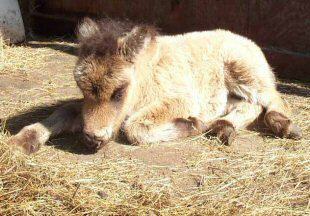 She is a consistent producer of high quality foals. AMHA and AMHR registered. A real sweetheart to be around and a terrific mom. Not for sale. Now retired and living out the good life. 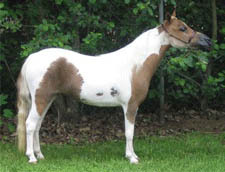 "Cookie" is a sorrel pinto National top 10 mare. Born in 2003, she is AMHA and AMHR registered. Gracie has it all- personality, good looks and a powerful pedigree. 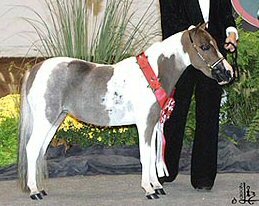 Sired by Boogie Buckeroo, a direct son of the great Buckeroo. Her dam is our beautiful Sheza Moonlighter. Not for sale at this time.